Most of my books were ordered from Beyond Words, run by the ever helpful Neil. 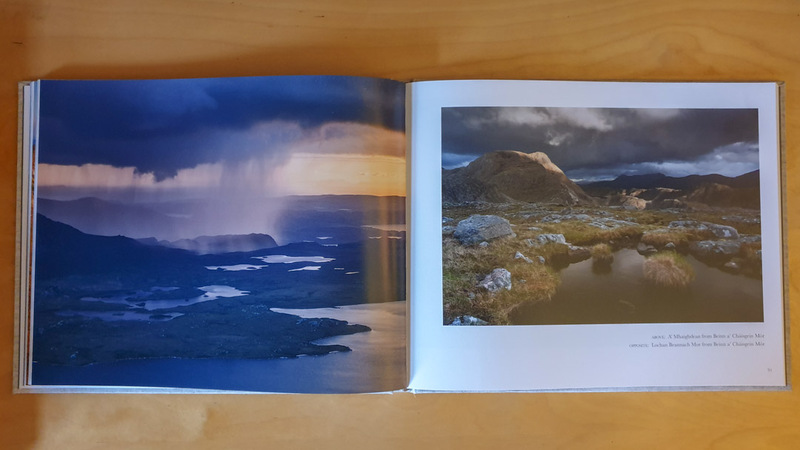 Beyond Words specialises in photographic books and are good at sourcing hard to find and limited edition books in my experience. You may regret signing up to their newsletter though, as it is so full of temptation. 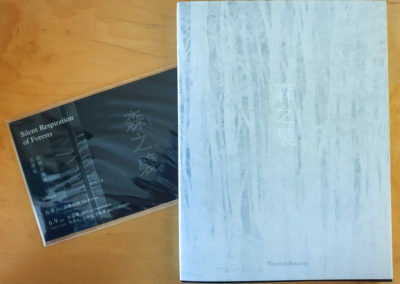 🙂 All other books were either bought via Amazon or direct from the artist producing the book. 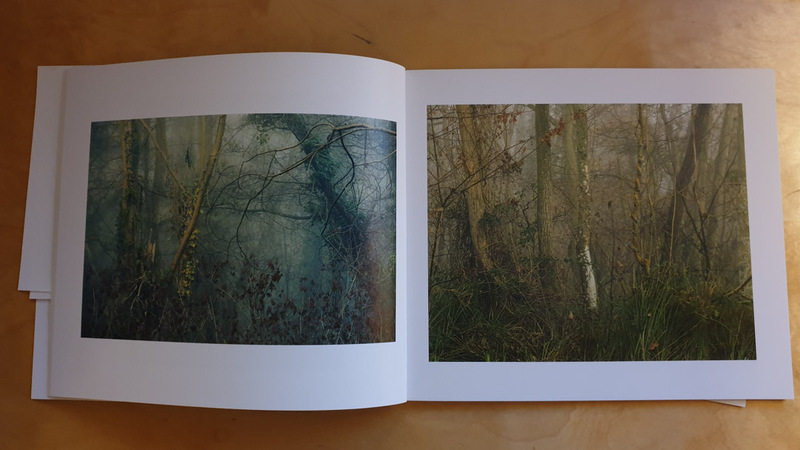 To find out when Part 2 is published, please sign up to my occasional newsletter. 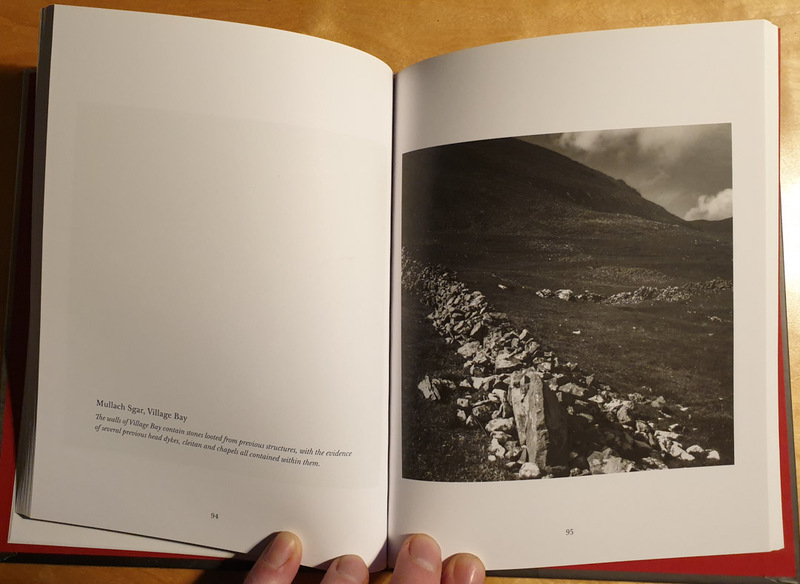 I’ve always enjoyed the work of Alex and particularly enjoyed his tweets and photos he shared during his time as curator of An Lanntair in the Outer Hebrides of Scotland. I was a wee bit jealous of his time up there, as I usually get to squeeze a week or two a year up in that remote part of the country. 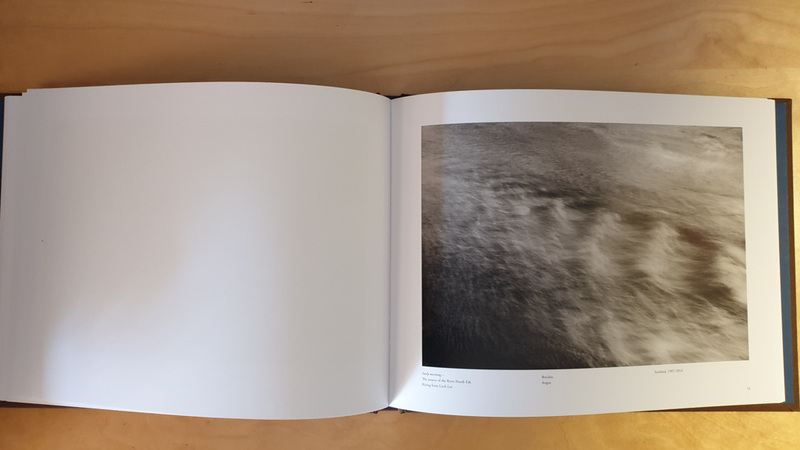 Alex’s first book is a compact image wrapped hard back of thoughtful black and white photography of the St Kilda archipelago, which lies to the west of the Outer Hebrides. 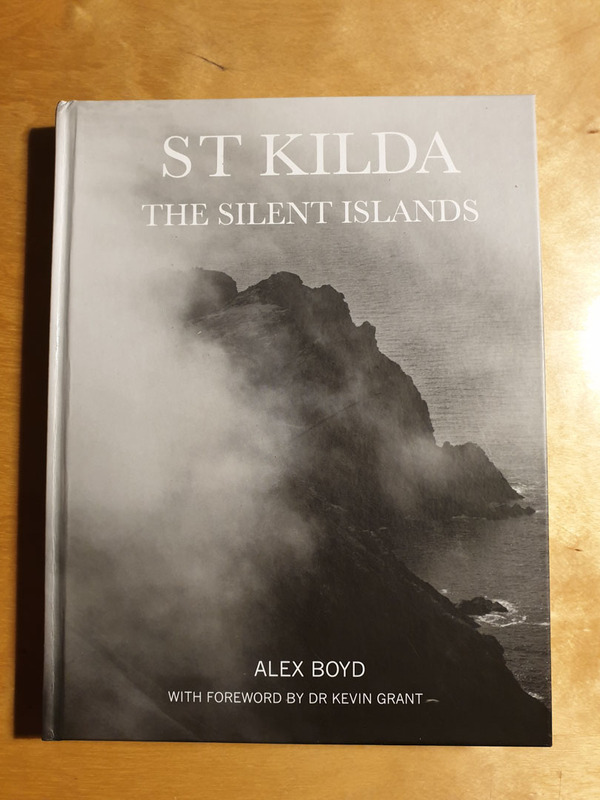 The book has an informative forward by Dr Kevin Grant, where he explains the history and uses of the islands drawing on his own residence on the island. 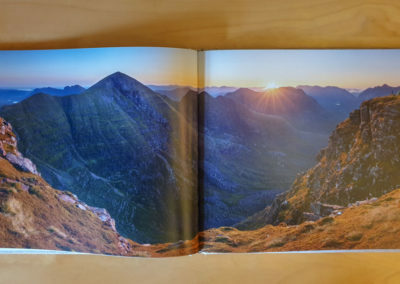 At £20, this book represents good value for money and should be a must buy for anyone that felt their heart strings pull for the more remote and wild places that Robert MacFarlane writes about in his book “The Old Ways”. 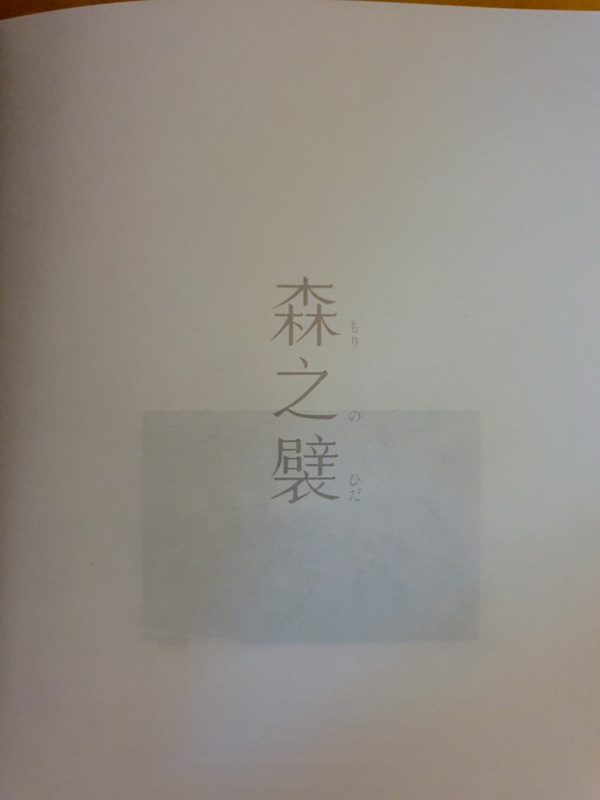 I came very late to this little gem of a book, as Jon was down to his last handful of copies when I by chance came across him Tweeting about the book. 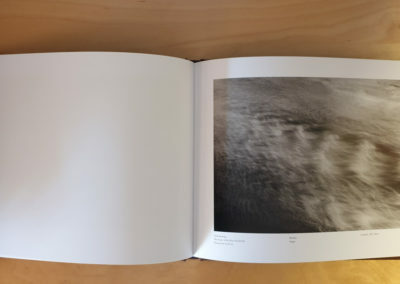 This small soft back book was self published by Jon. 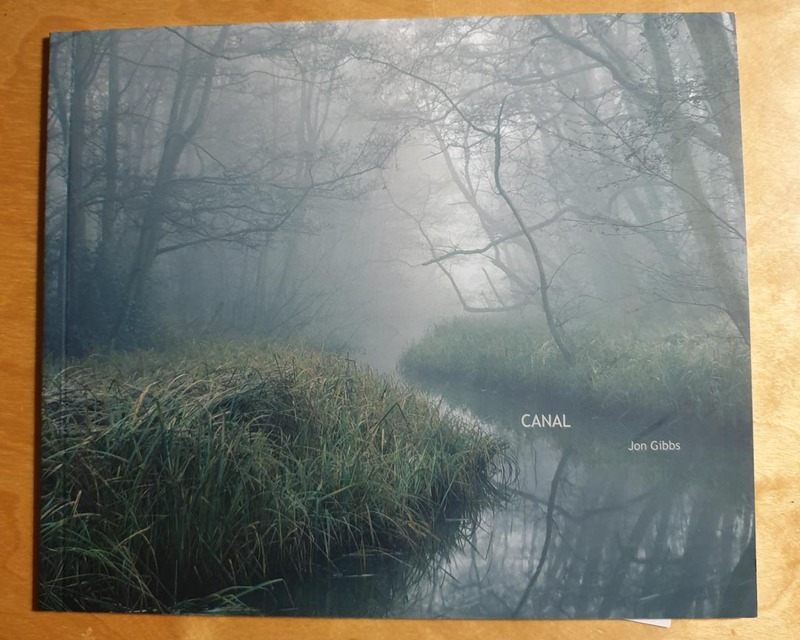 It concentrates on the area around Honing in Norfolk (UK) and a now disused canal. 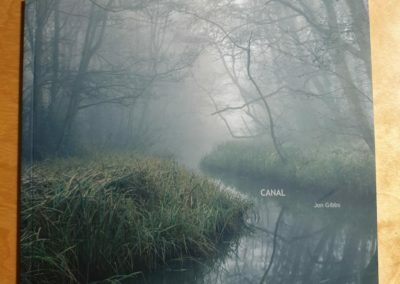 Taken over the course of just a few days there is a profound sense of melancholy, capturing the mood of a damp British winter and the slow decay of what would have been a thriving canal system in its day. 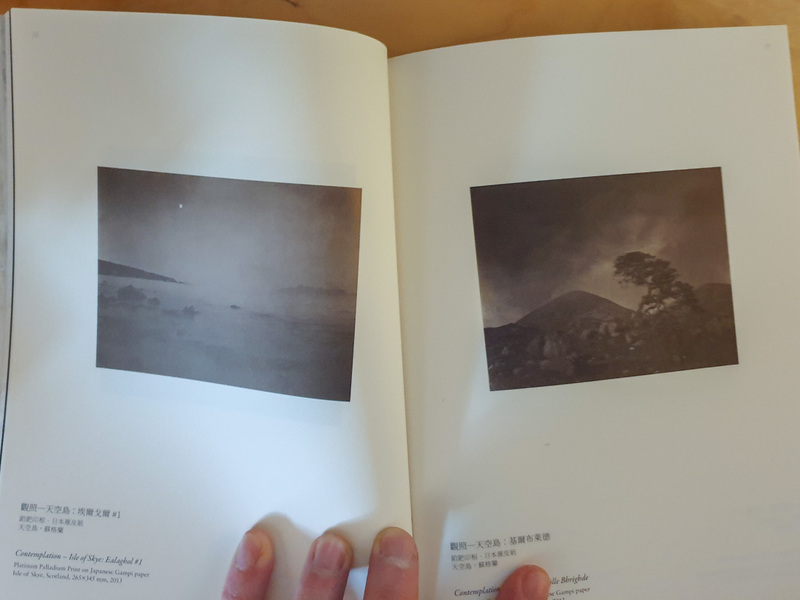 I have a growing number of exhibition catalogs of various photographers, mainly from Beetles and Huxley (now called Huxley-Parlour). 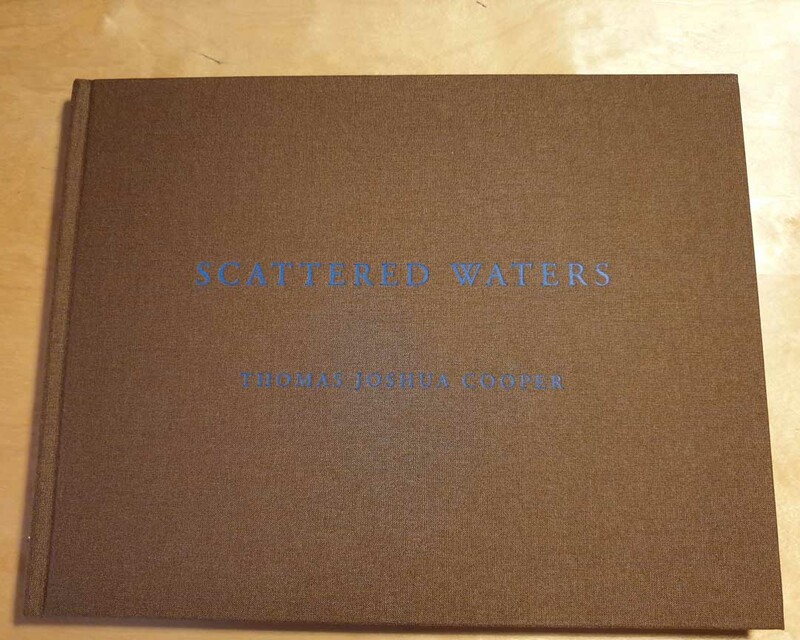 This however, has to be the best catalog I’ve come across, indeed better than some books that claim to be “artisan”. 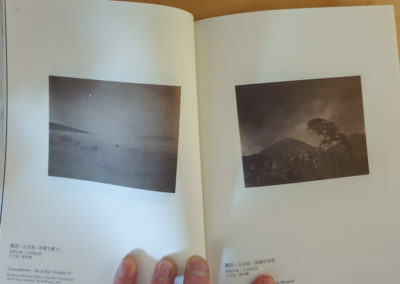 It is a simply wonderfully tactile little book that uses a variety of papers to show case the work of Takeshi Shikama very well indeed. 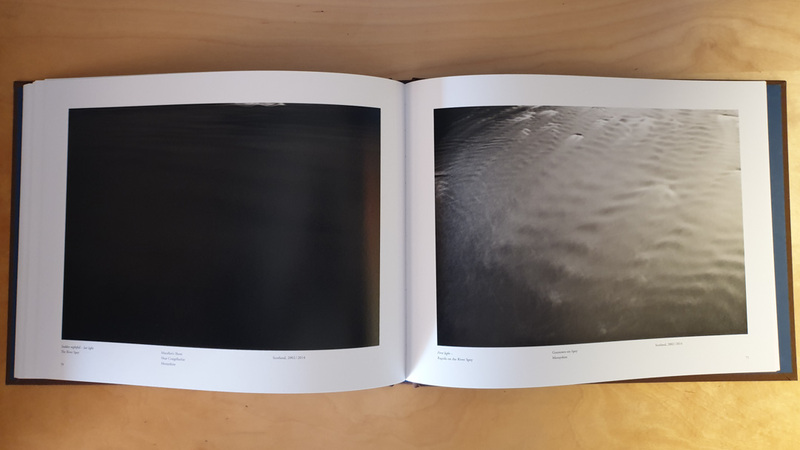 I do have a bit of a soft spot for his work, as I rate the book “Silent Respiration of Forests” as one of my all time favourite photography books – if only for the title alone 🙂 The catalog, aside from being just lovely and tactile (did I mention it was tactile? ), contains some photography that I hadn’t seen before – specifically from when he did an artist in residence spot on the Isle of Skye – so in many ways the book is worth it for that alone. 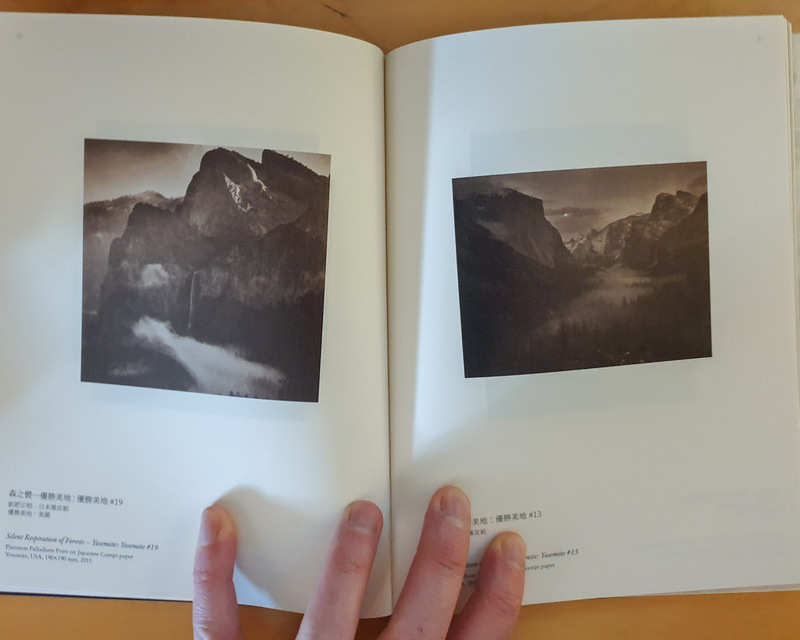 It may be a bit of an indulgence to spend money on an imported exhibition catalog, especially when some of the books reviewed here are cheaper. 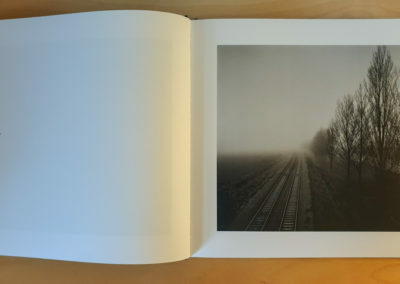 But this is thoughtfully produced book and a lovely item to hold in the hand – which in many ways is all part of the experience of owning photography books – maybe something some photographic book producers have forgotten about in their efforts to churn books of the same boring and repetitive format out the door. 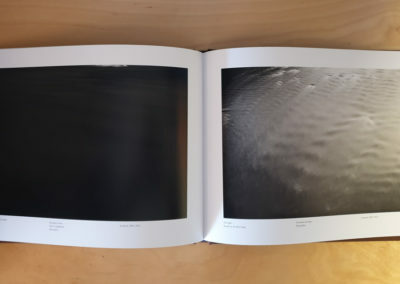 This cloth bound book was published in 2014 to accompany an exhibition at the Ingleby Gallery in Edinburgh. 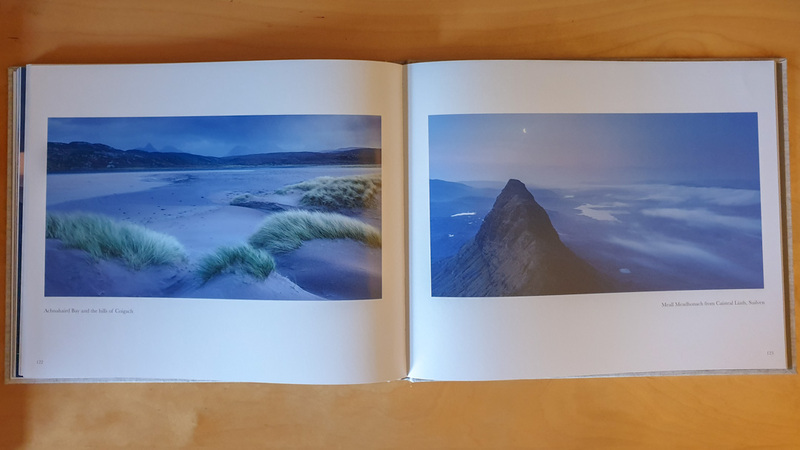 Described as Cooper’s “love letter to Scotland”, this body of work was taken over a 30 year period using Cooper’s much documented One Camera, One Lens, One Exposure approach. An approach that I think many of us would struggle with in this digital day and age (though I probably struggled when I shot film as well!). 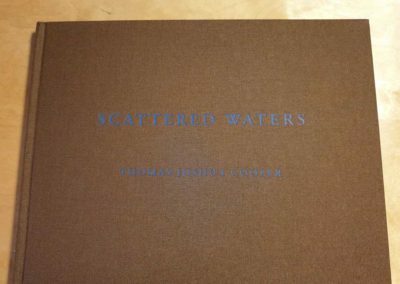 Scattered Waters feels strangely familiar to me, almost as if I’ve already seen it or own it (I’ve checked and I don’t – and I would be cross at myself if I had!). 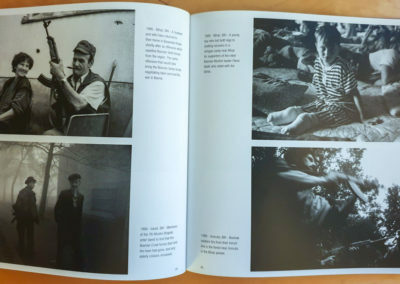 Which in someways is comforting – nothing to really to challenge me per se, just good photography. 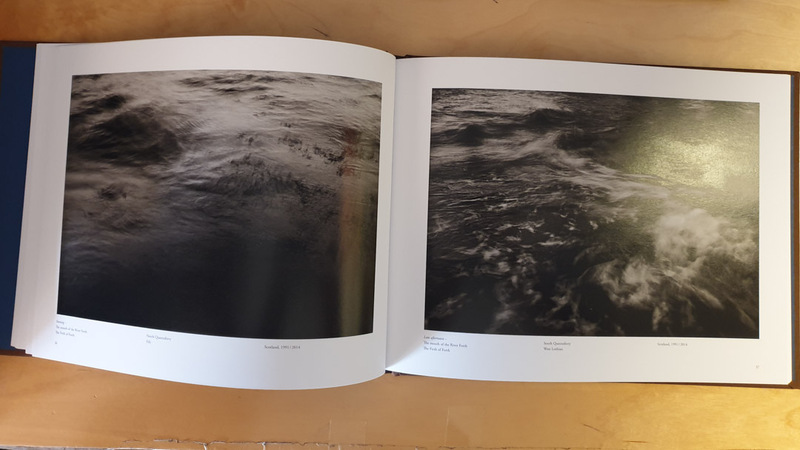 Most of the black and white photographs are of water surfaces, showing the movement of the water, as Cooper documents a number of rivers around Scotland from their sources to where they enter the sea. 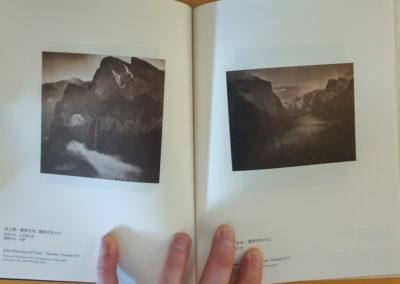 If you are looking for vistas, this is not the book for you. 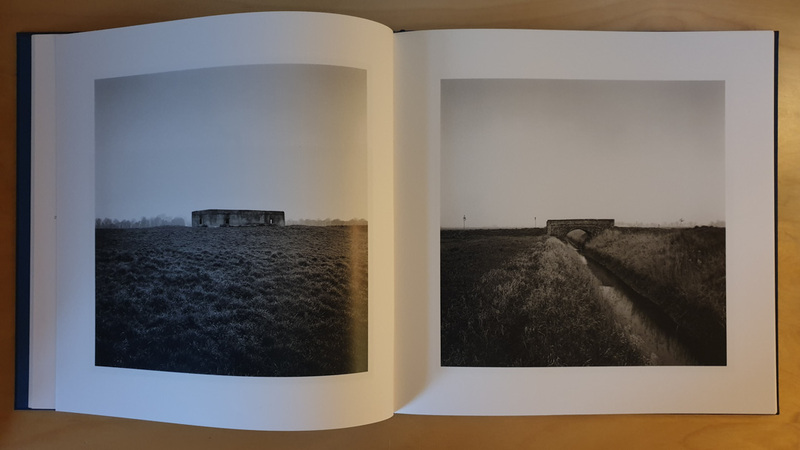 This second book of a planned trilogy (published by Dewi Lewis) of fenland photography opens with a fascinating essay by Franics Hodgeson, the photography critic. 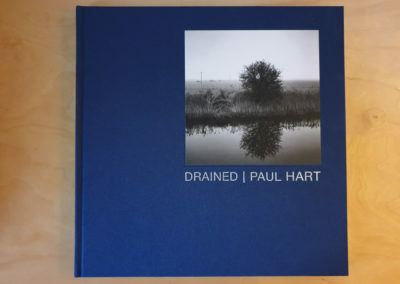 He charts a wide course around the history of the fens before bringing it home discussing the work of Paul and others in the context of the fens. The fens are a flat land of straight lines, be that roads, railways or drainage ditches. 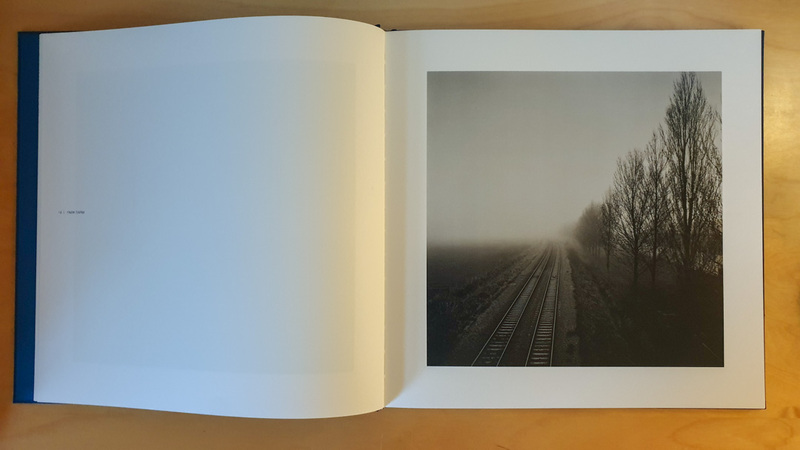 This allows for strong leading lines, lines disappearing in to the foggy murkiness of the fens and for lines to dissect an image. 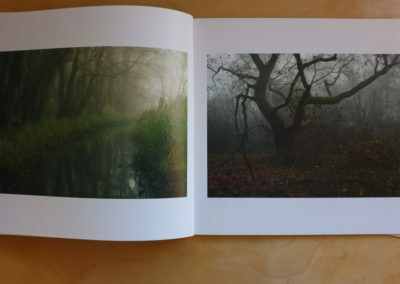 With this misty murkiness comes a strong sense of melancholy and perhaps a sense of isolation as well in some of the photographs. 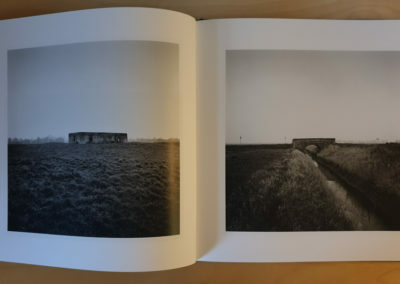 Certainly the photography gives an impression of a land that has been twisted in to something that perhaps it should not be. 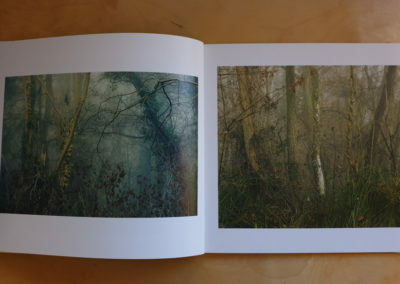 Also have a look at “Farmed”, the first book in the trilogy. 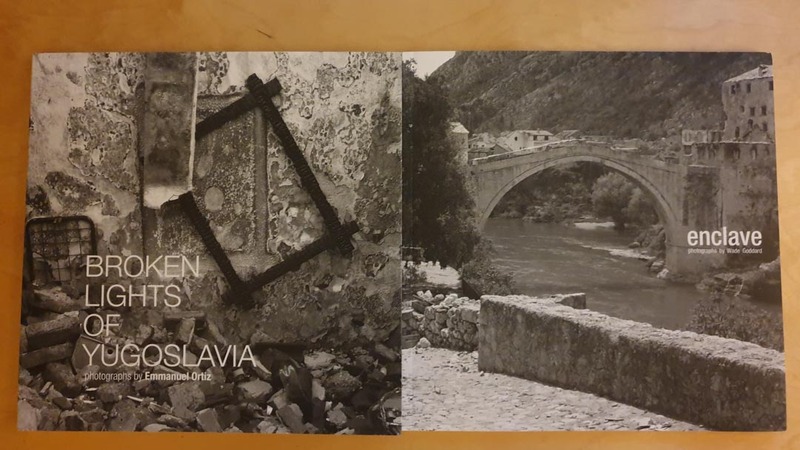 Both photobooks are published by War Photo Limited, a gallery in the Croatian city of Dubrovnik. 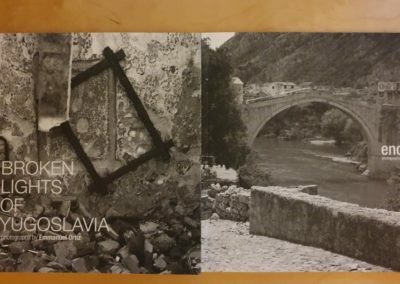 The gallery, built over a number of floors, focuses on conflict photography and in particular photography from the Balkan Wars. If you are visiting Dubrovnik it is well worth the visit. 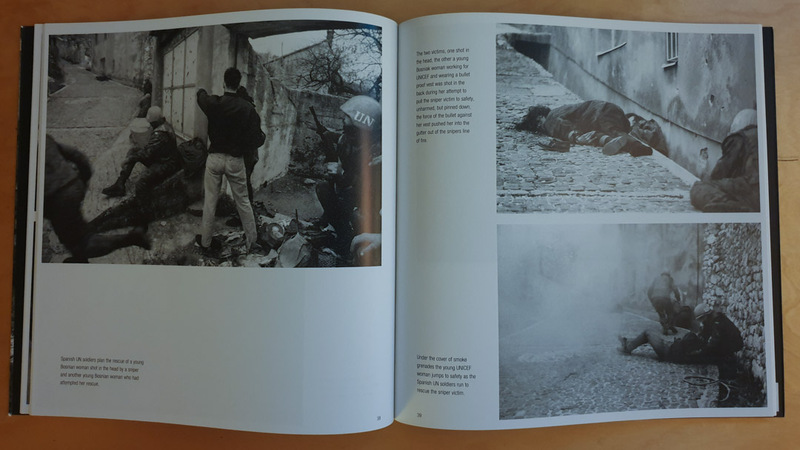 Both books are harrowing – if you are familiar with Joel Meyerowitz’s “Aftermath”, they are up there with that book. 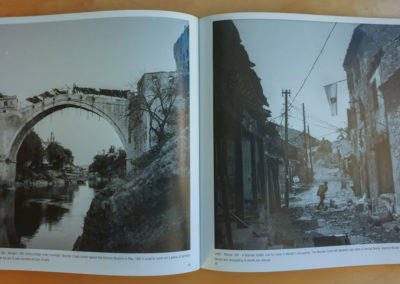 “Enclave” focuses solely on the city of Mostar with its famous bridge across the river gorge that the city straddles. 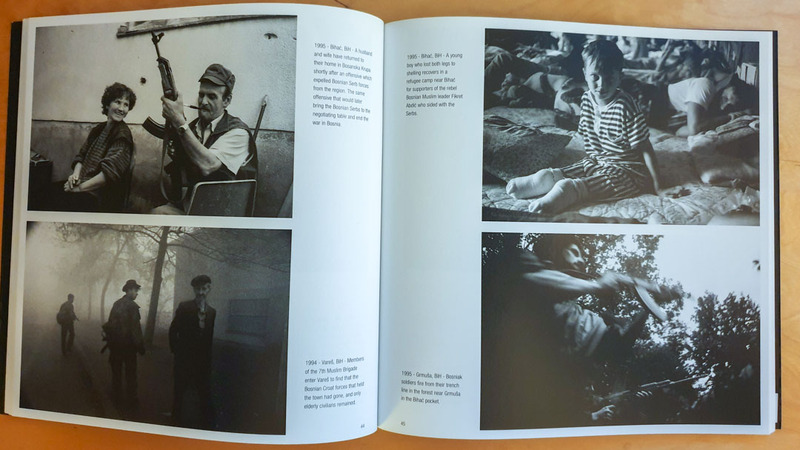 “Broken Light” looks at the wider Croatian War of Independence. 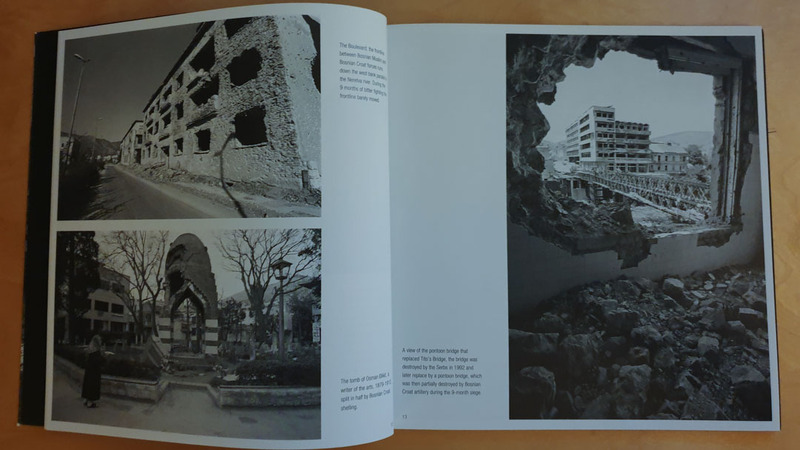 The books and the gallery remind me of the need in this world for those special people that are prepared to go in to harms way to document the atrocities that humans commit on each other – and importantly bring these events to a wider audience regardless of how unpalatable the content maybe. 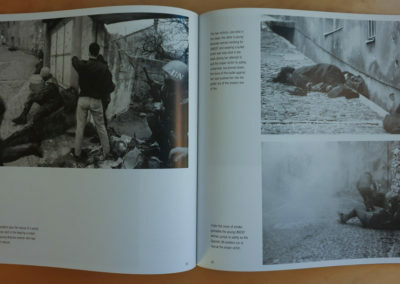 This is acutely demonstrated in Goddard’s book “Enclave” through a series of photographs that show a woman lying on the ground shot, another woman’s attempt to save her (who is only saved from getting injured herself by the body armour she is wearing) and then the arrival of UN troops who deploy smoke to obscure the view of the sniper to recover both. Shocking and captivating in equal measure. 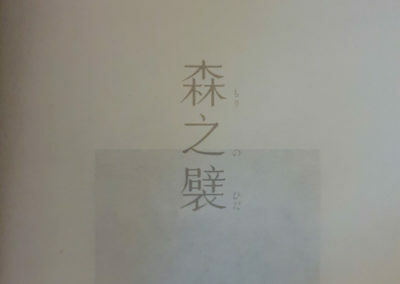 This book was going to be THE book I was not going to buy in 2018. Having had my rant about self published books and pricing dropping etc in last years review of books. (Not that I am saying Alex had I hasten to add). I swore to myself that I was going to go easy on buying such books in 2018. 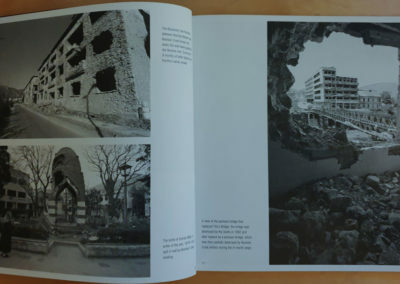 However, thanks to David Clapp’s review of Alex’s book I relented, and was glad that I did. 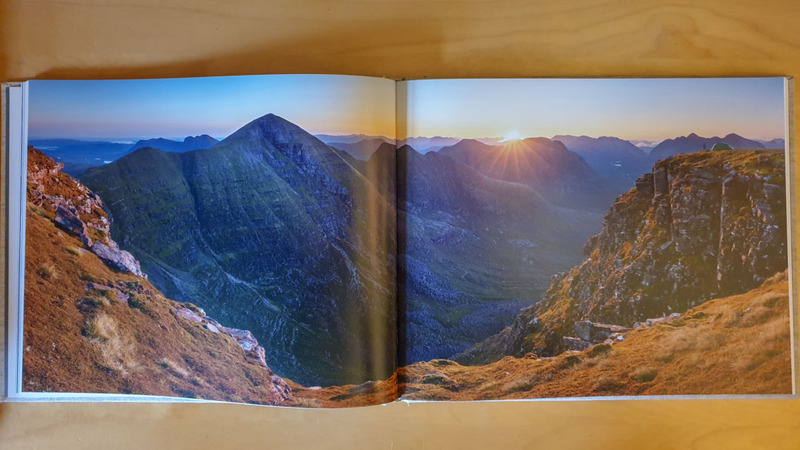 The book explores the North West mainland Scotland – one of the more difficult parts of Scotland to get to, not only because of the distances that have to be traveled by car to get there, but also by some of the long walks in required to get to some of the locations. Alex’s photography is what I describe as hero photography. 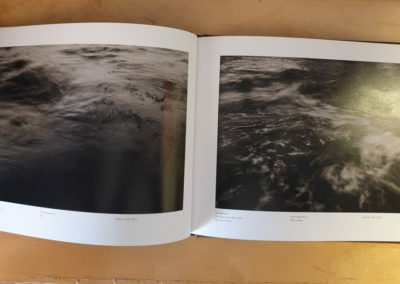 That isn’t to belittle his work – its recognition of the lengths he goes to to make his work involving long walks in, over night camps on the mountains in all weathers – all to get the shot in the right conditions that he has visualised. 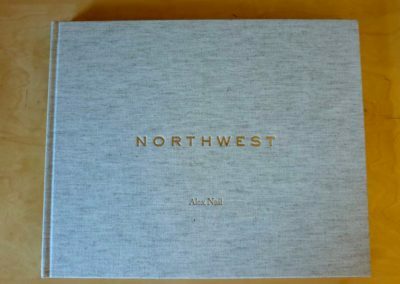 I am very jealous of Alex, his fitness, his time and the opportunities he creates for himself in order to make such a piece of work as this. 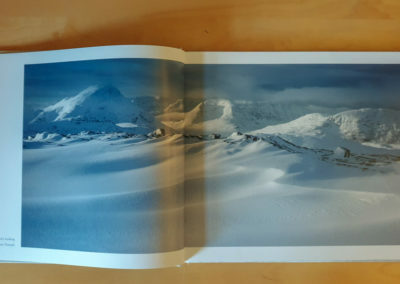 Throughout the book it is clear the level of preparation that Alex has gone to is meticulous – and that is even before he sets foot of the hill. 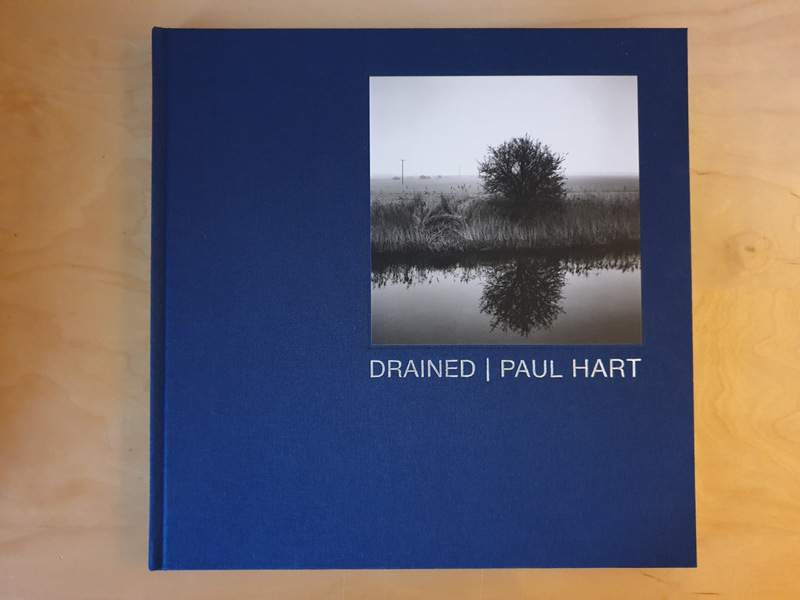 I’d put this book in the same category as Colin Bell’s “Healing” from last year (2017) – this book is what hard work and preparation look like to get a project completed. 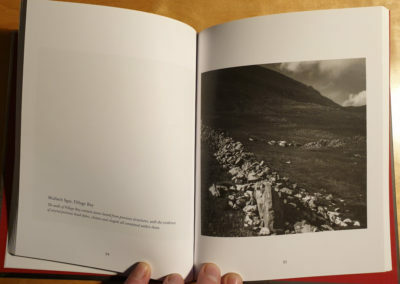 What lifts the book from being a just photobook of great mountain photography are the pages where Alex writes about his experiences on the hill – the downs as well as the ups. 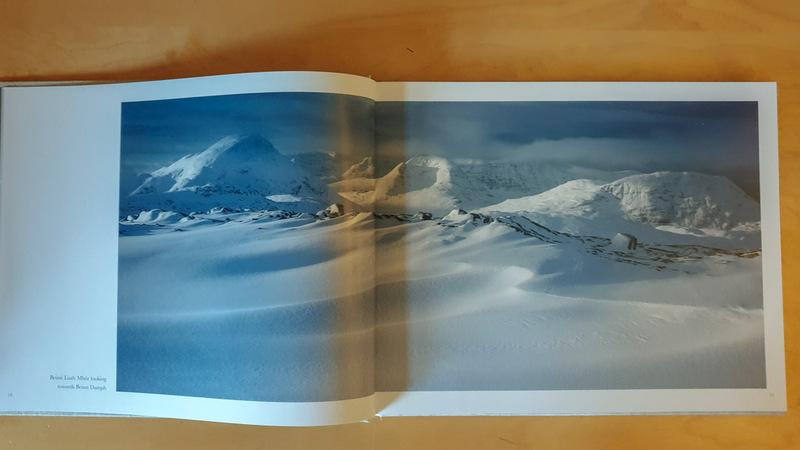 It makes the photography more personal and more appealing than it would do if it were just page after page of mountain photography. 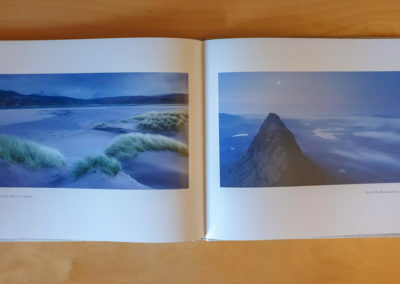 The processing of the photography is subtle, in that the processing doesn’t make the photograph (or indeed distract and get in the way as it does with other photographers). It is the view and the endevour that makes it. 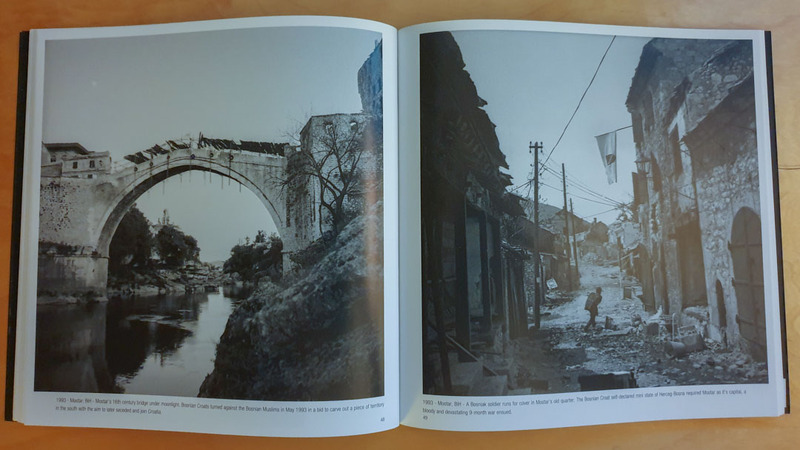 The quality of the finish of this book (which exceeds 150 pages), to me further demonstrates the level of attention to detail that Alex brings to his work that it may not have received if he had entrusted his work to others and the extra layer of strife that that may have entailed. 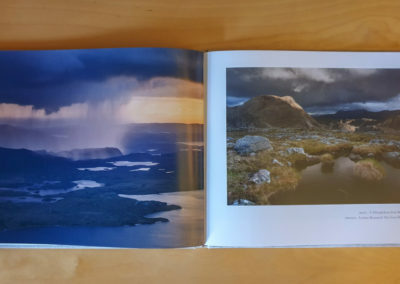 My favourite photograph from the book is “A Mhuighdean from Beinn a Chasgien Mor”. A dark and moody shot with bursts of sunlight making the overall image. 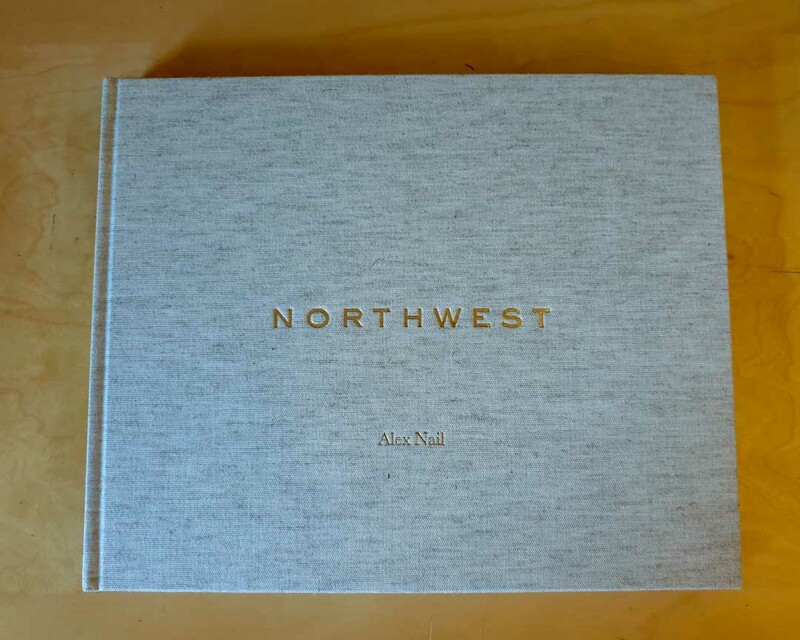 If you haven’t already done so you can buy this book directly from Alex. 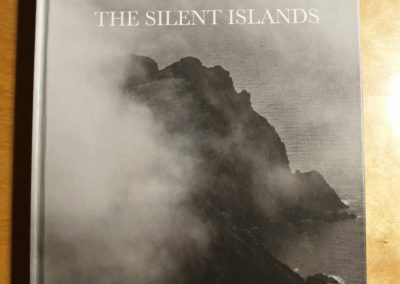 If you are a lover of high and lonely places, I don’t think you will be disappointed with this book. And that’s it for Part 1. I’d love to hear your feed back, so please comment below and I will try to respond to everyone of you. 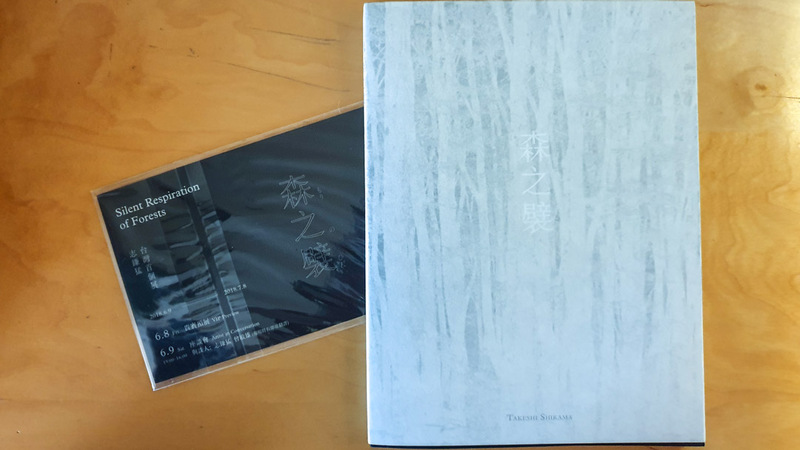 Part 2 is still under construction, but will include 5 if not 6 other photography books that I bought last year, including the new Jeff Conley book “Reverence” and more by Thomas Joshua Cooper. 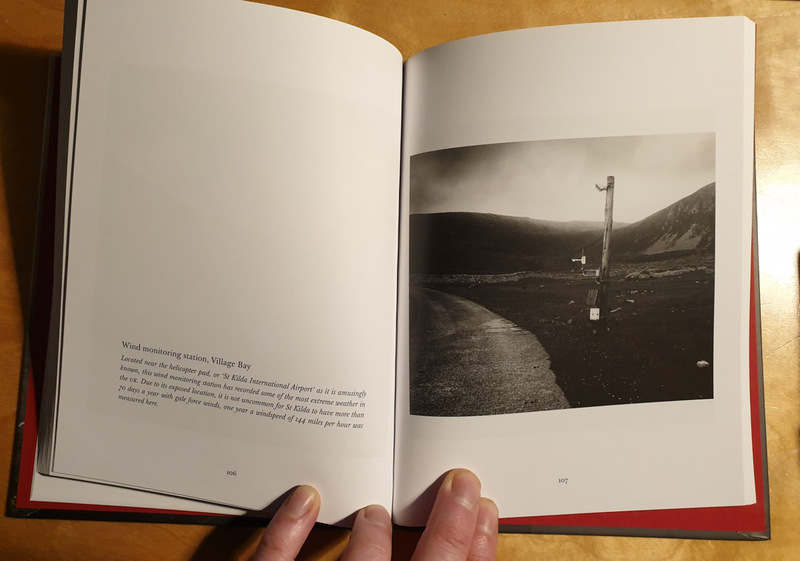 To find out when Part 2 is published, please sign up to mailing list. 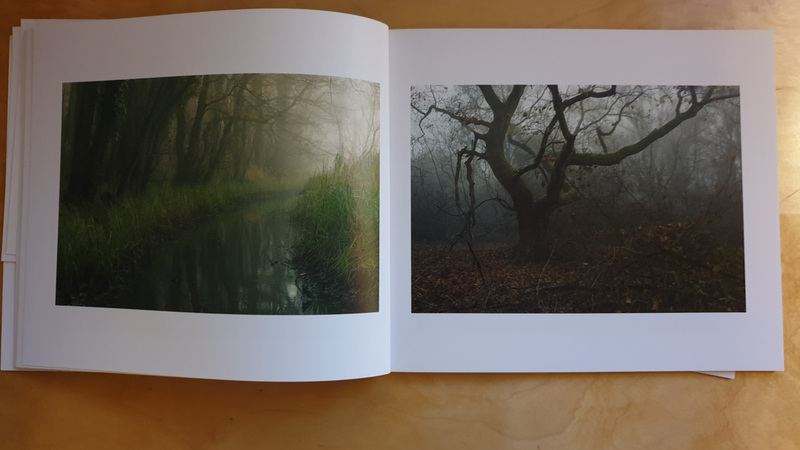 As a bit of a “Thank You” for signing up I’m giving subscribers a copy of my first attempt at an e-book “Ties to the Land”.